For the fifth time in six years, the University of the Philippines Pep Squad won the first place in the UAAP cheerdance competition. Far Eastern University (FEU) and National University (NU) won the second and third place, respectively. Prior to this year, the Diliman-based cheering squad also won the crown in 2007, 2008, 2010, and 2011. Meanwhile, this is the first time that NU placed in the top three. UP, FEU, NU, University of Santo Tomas (UST), De La Salle University, Ateneo De Manila University, Adamson University, and the University of the East. The annual UAAP cheerdance competition began in 1994. However, no such event was organized in 1997. 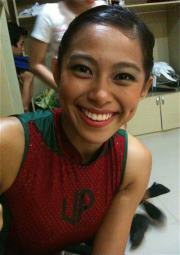 The UP Pep Squad and UST’s Salinggawi Dance Troupe won the tilt eight times each while FEU has bagged the crown twice. UP has placed within the top three since the cheerdance competition’s inception.